If you’ve ever got sick of repainting the same interior wall over and over again due to dirty hands, you may get to thinking… what if I use exterior paint, indoors? Well, before you do, it is probably a good thing that you’ve decided to do a little research first. Exterior paint is naturally tougher against the forces of nature. Can you use exterior paint inside of your home? The most serious risk factor in using exterior paint is paint fumes. Rain? Not a problem. Heat? Also not a problem. Wind… storm… snow… you name it. Nothing will beat through it. Not too far back in time, regular old paint was used on the outsides of homes. But homeowners were getting fed up with the constant damage and renovations. The weather can create chaos on a home if the right pain isn’t used. The sun can fade the color of regular paint. Rain and snow can build up moisture leading to peeling, cracking, mildew, and mold. So, exterior paint was amplified with a weatherproofing, color-lasting combination to make it last. Today, an average exterior paint contains a recipe that can withstand all weathering and discoloring issues for a minimum of 10 years to an entire lifetime. Well, for many people, using exterior paint indoors would seem like the natural solution to these common issues, and whilst it can be done, there are some quite serious considerations you need to take into account. Mold and mildew in the walls. However, you have to be aware of the possible risks in using exterior paint, indoors. Using exterior paint on the inside of your home is guaranteed to be more durable, and able to withstand the everyday wear and tear living at home will cause. On the other hand, there are precautions that must be considered as exterior paint can be harmful if not used correctly. 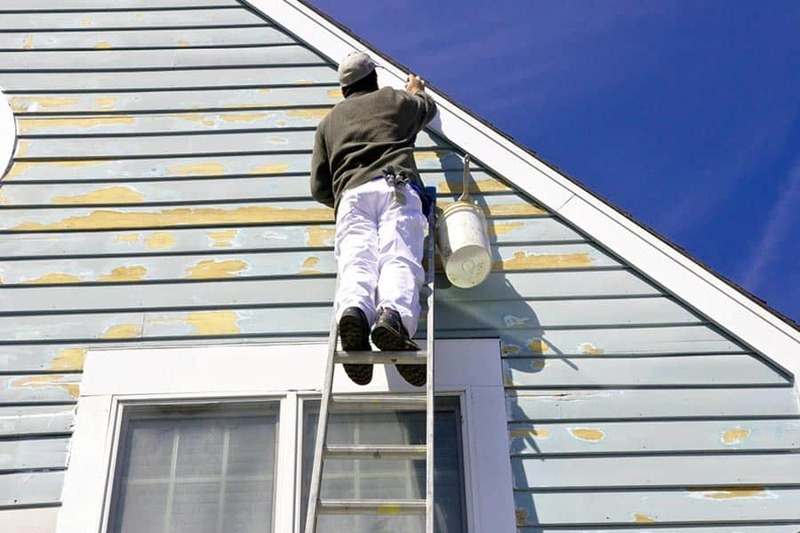 Paint fumes, otherwise known as Volatile Organic Compounds (VOC’s) is the main active chemical in exterior paints and can be extremely harmful if breathed in. This is far more likely when using an electric paint sprayer as the paint is released into the area as a mist, rather than applied directly to the wall. Unfortunately, this can’t be helped, it’s just the way paint sprayers work. The purpose of VOC is to hold the pigment in the paint and to bind it to the surface it is attached to. So the quality and purpose of using exterior paint depend on this potentially harmful component. These fumes from VOC are not only bad for the environment, but they can be dangerous if inhaled by humans and animals. A few common symptoms of VOC inhalation can include lightheadedness, headaches, and nausea. These pain fumes can invade an entire home (and even a whole neighborhood as you may have noticed before). People with weaker immune systems are more at risk to VOC’s harmful effects and may suffer from harmful respiratory effects. Without proper precautions in place when using exterior paint, illnesses can even worsen to cancers and other life-threatening illnesses. The number one risk factor in using exterior paints is lack of ventilation. If the area you are painting in is enclosed or lacks proper ventilation, then do not proceed with the project. The same goes for painting interior walls with regular paint and should be part of your preparation process, not left until after the painting is complete. 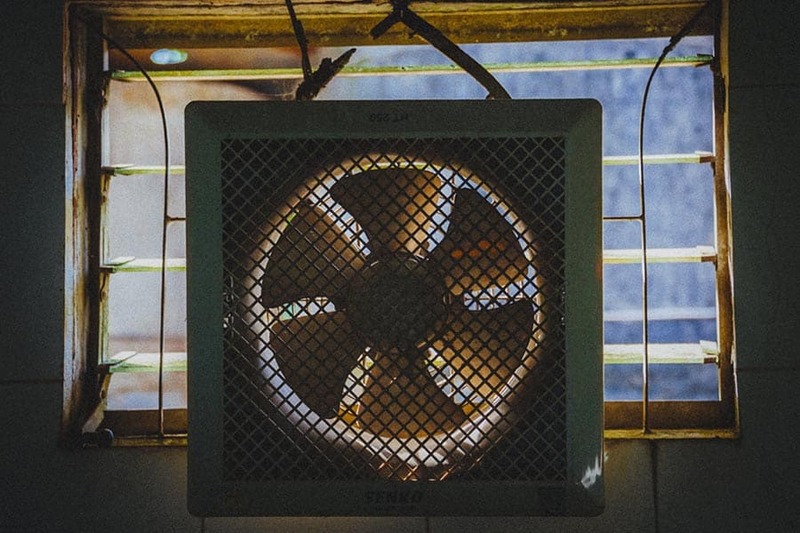 Only if you are able to properly ventilate the area using multiple fans, open windows and doors, and breathing apparatuses, should you consider proceeding with using exterior paints, indoors. Also, it’s important to note that you should always keep the paint lid sealed as fumes can easily escape causing more harm. 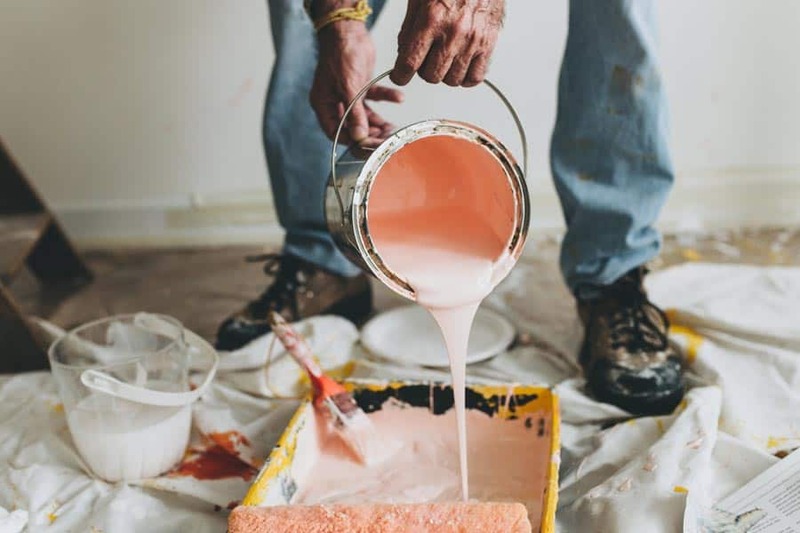 Once the paint dries, more fumes are also released into the air, so make sure you allow for quite a bit of time to ventilate the area after the job is done. Latex paints with a water-based formula are made naturally with smaller amounts of VOC. On the other hand, oil-based paints carry much higher levels of VOC. Do research on the right paint for your home and find out beforehand how strong the VOC level is by asking a paint expert, and checking the details of the paint you are considering using. When it comes to picking the right kind of paint for the interior of your home, it can be much less of a headache in the long run by using a tougher, exterior paint. However, exterior paint fumes can cause you and your family serious harm if you don’t take the proper precautions beforehand. 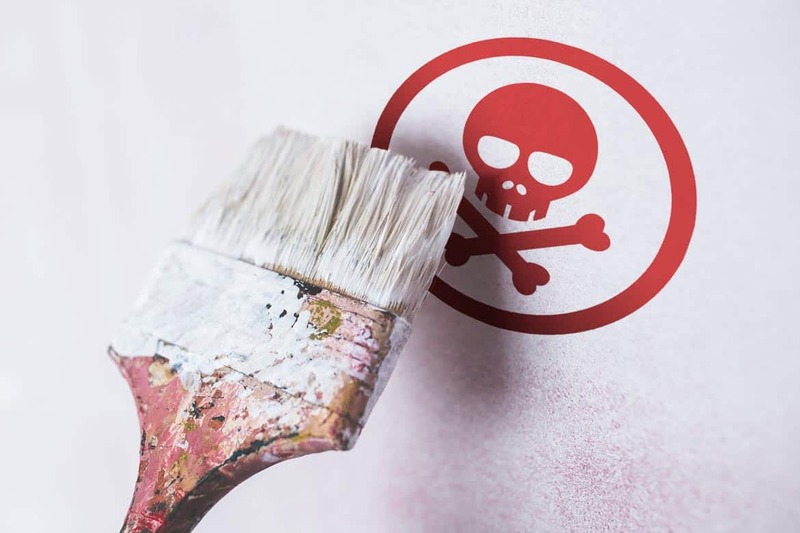 Dangerous paint fumes can last for as long as six months in your home so it is crucial that you take the right steps in protecting yourself and your family before considering using exterior paint on the inside of your home.